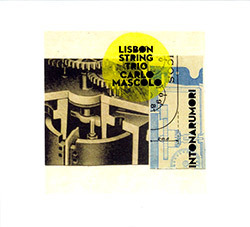 "[...] When it comes to the guests on brass, not only does Lisbon String Trio have the precedent of Intonarumori, with Carlo Mascolo joining on trombone, but coincidentally in this space, there is also the recently discussed Polyorchard: Sextet, Quintet, with its classically-inflected yet improvised exploration of string and brass combinations. 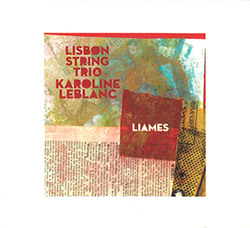 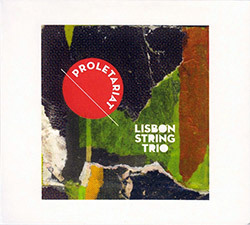 With a single brass instrument and three strings, the Lisbon String Trio releases present less opportunity for simultaneity from the brass, but also tend to involve more focus through smaller forces. 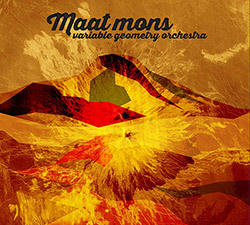 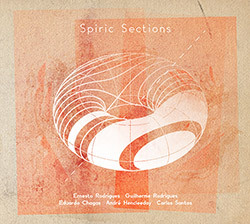 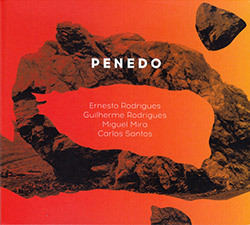 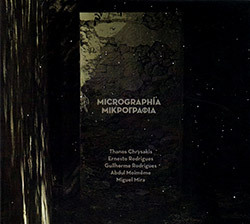 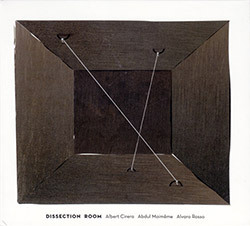 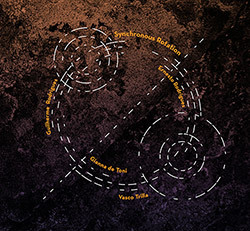 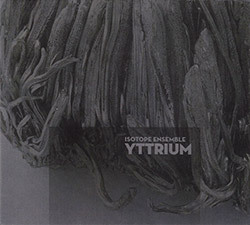 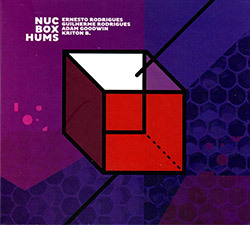 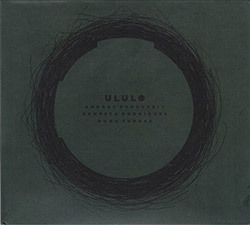 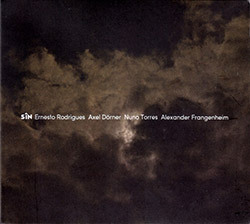 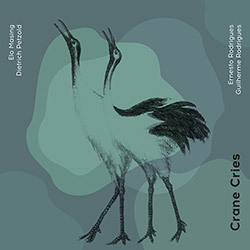 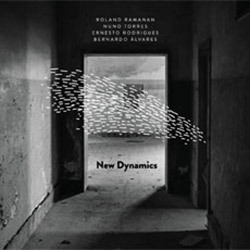 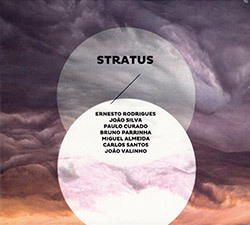 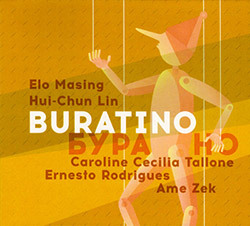 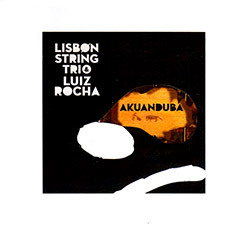 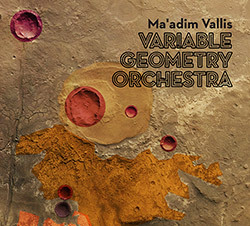 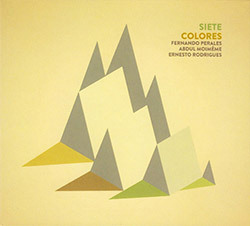 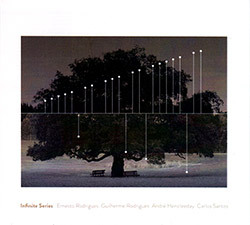 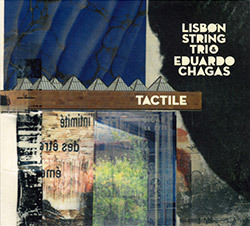 Regarding Intonarumori (discussed in August 2017), I had suggested considering a different string balance, so as to frame the trombone differently, and whereas Polyorchard manages to include so many combos that various balance points appear, on (the seventh Lisbon String Trio release) Tactile, trombonist Eduardo Chagas tends to maintain an ambivalent orientation low in the texture. 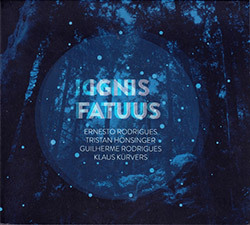 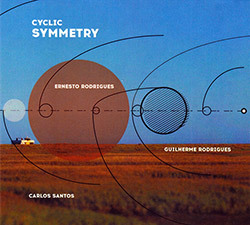 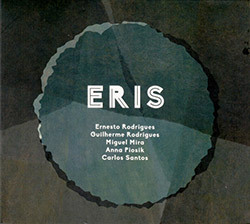 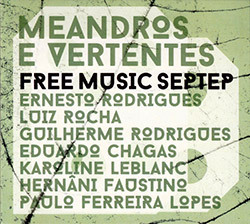 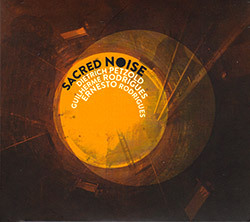 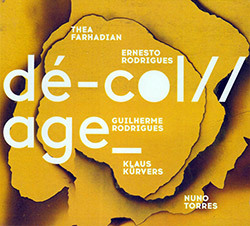 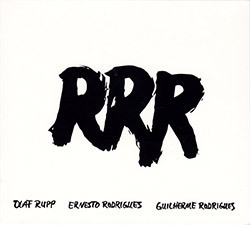 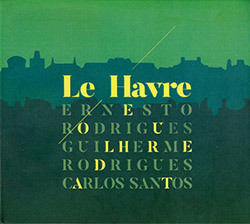 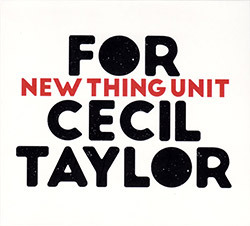 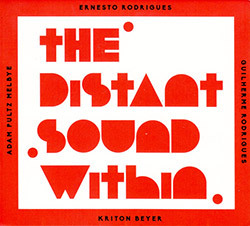 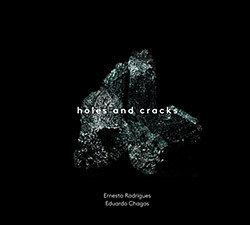 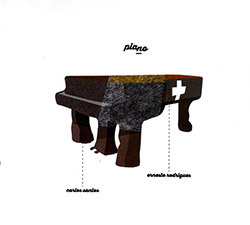 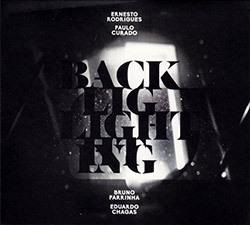 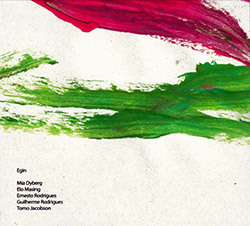 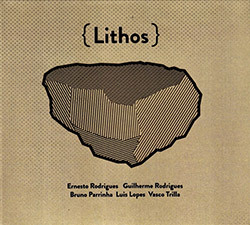 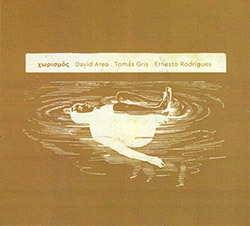 I've already mentioned the latter recently, in entries around Meandros e Vertentes and For Cecil Taylor, and indeed Chagas has worked extensively with Ernesto Rodrigues (including on recent duo album Holes and Cracks) and other Creative Sources regulars. 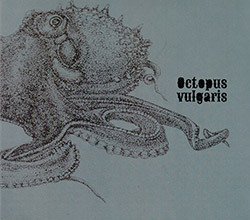 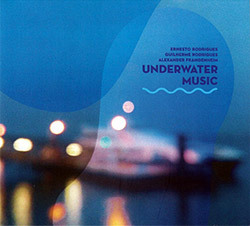 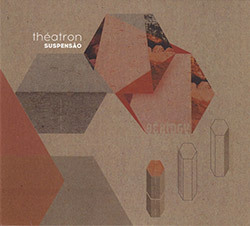 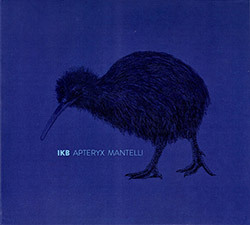 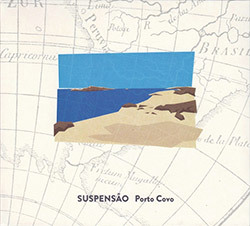 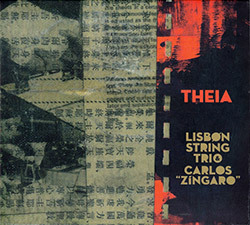 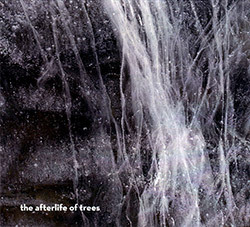 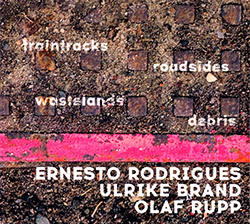 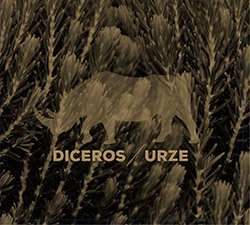 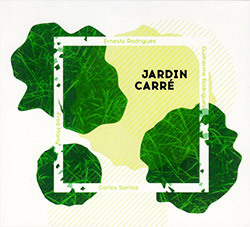 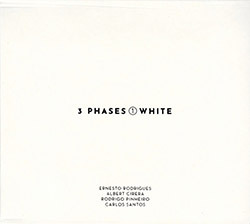 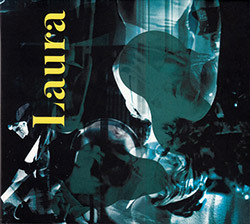 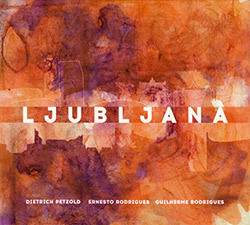 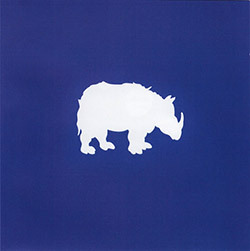 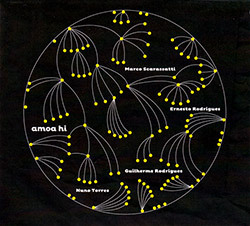 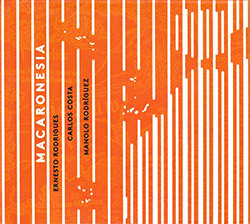 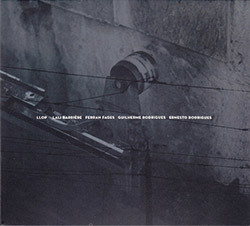 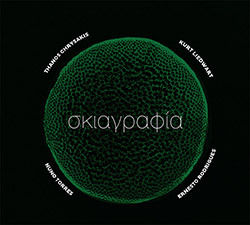 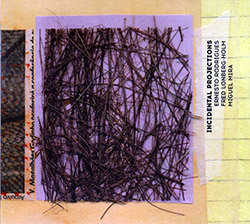 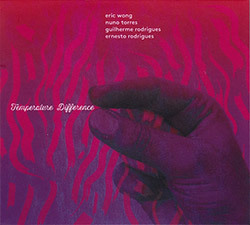 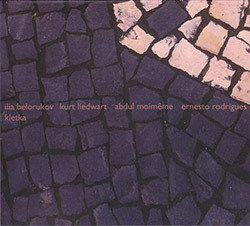 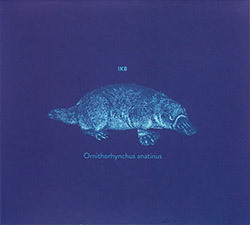 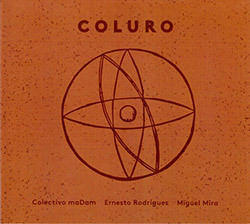 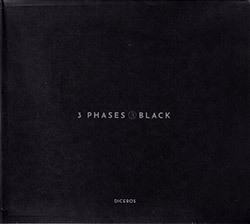 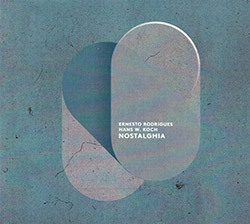 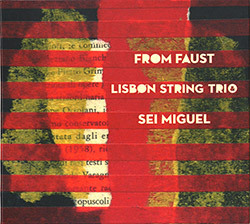 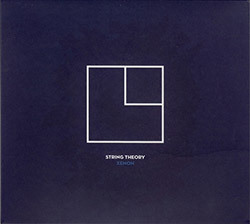 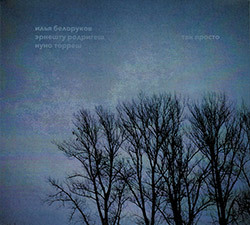 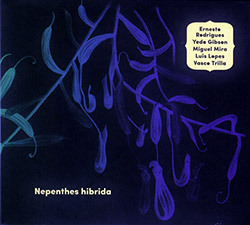 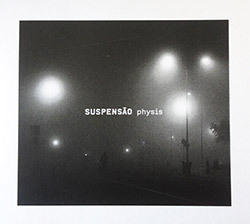 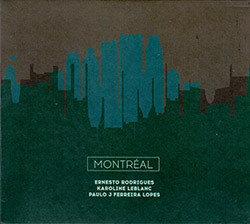 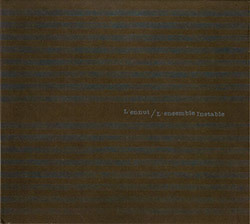 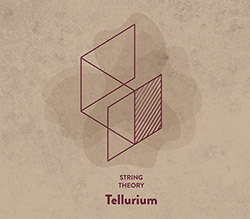 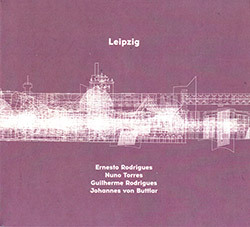 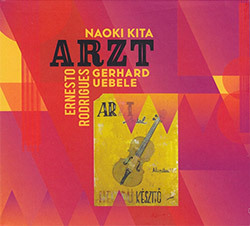 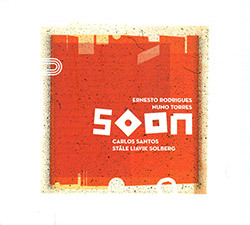 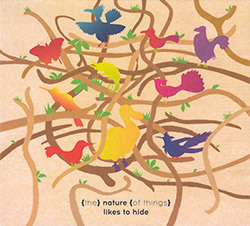 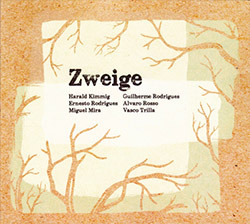 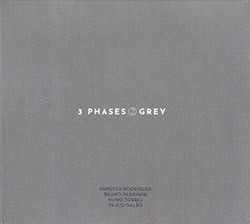 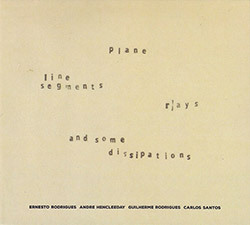 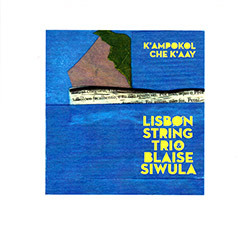 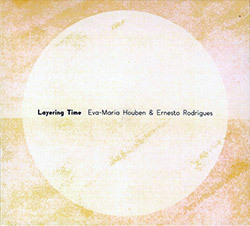 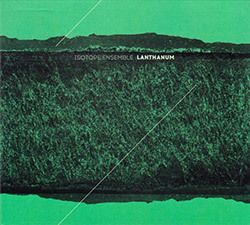 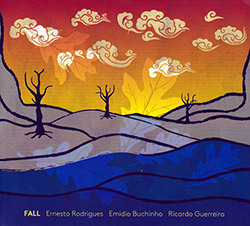 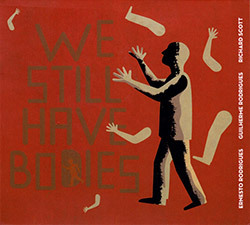 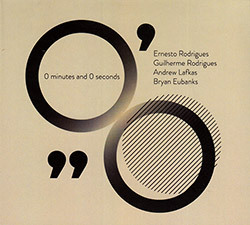 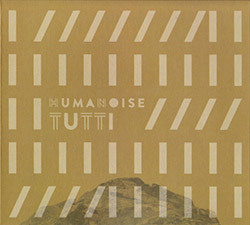 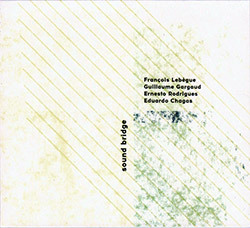 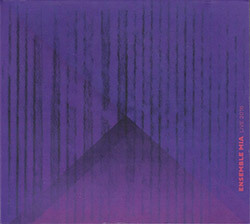 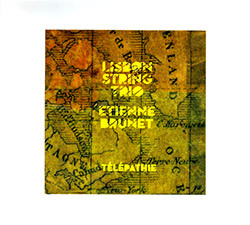 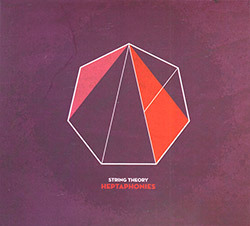 Consequently, perhaps, Tactile is by far the most diffuse and experimentally-oriented album yet in the Lisbon String Trio series: I particularly enjoy the first several minutes of its single track (recorded in Lisbon in February), in which the trombone does establish an intriguing and relatively assertive textural relationship, but much of the album involves quiet subtlety and extended sounds from all involved, such that e.g. 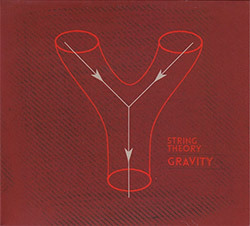 breathy horn animating high position string harmonics becomes a highlight. 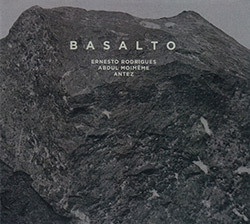 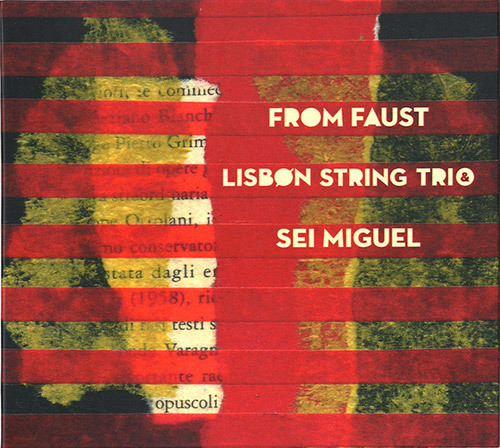 A sense of landscape might thus be said to emerge, and that's even more true (in a more assertive guise) of From Faust, featuring Sei Miguel (b.1961) on pocket trumpet, and recorded in March in Lisbon (the day after Theia). 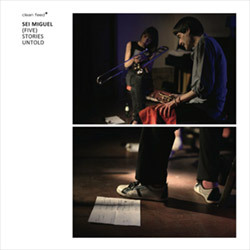 I had not mentioned Miguel here previously, but he has an impressive discography on Clean Feed, etc. 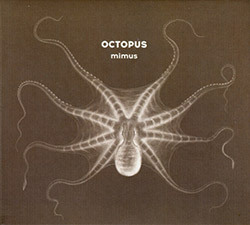 And with the pocket trumpet, the often quiet and murky balance of Tactile is basically turned on its head, as the piercing trumpet tends to dominate attention whenever active, and moreover to call out starkly over a "landscape" established by the strings. 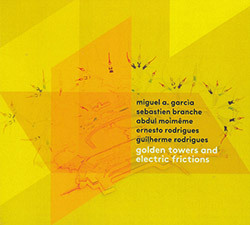 The latter can be quite rich, buoyed by a wide variety of techniques, as well as a sense of excitement in playing with such a noted and uncompromising horn player in Miguel, but since the trumpet generally must remain quiet in order for the strings to interact, one is often left wishing for a more balanced interaction overall. 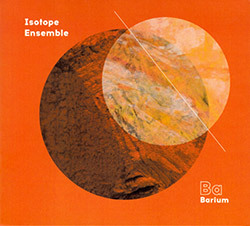 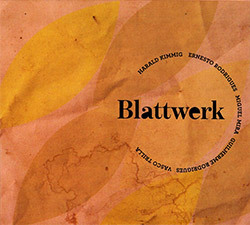 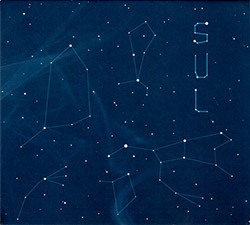 One certainly doesn't lack for immediacy, though, at least when the trumpet is active, as the latter balances insightful interjection and commentary against a concertante style, such that a rhetorical quality emerges across the three tracks (each longer than the previous) of From Faust.